Well, what can we say other than 2013 was a GREAT year? No – correction – it was an epic year. It was SO epic that it got us to thinking that we’d love to share our favourite memories (that’s blogger talk for “posts”) from 2013. But we have to first of all THANK YOU from the bottom of our hearts for following us; that includes Facebook, Twitter, Pinterest, Instagram, commenting on or sharing our posts, buying our tee and… well…. basically being just as excited to read what we’re up to as we are to share it with you! Where do we begin? Would it be biased to say we loved all our posts? No, right? Because we really, really do. Okay… we’ll try to narrow it down to our top 5 each. Key word – try. 😛 So here goes…. 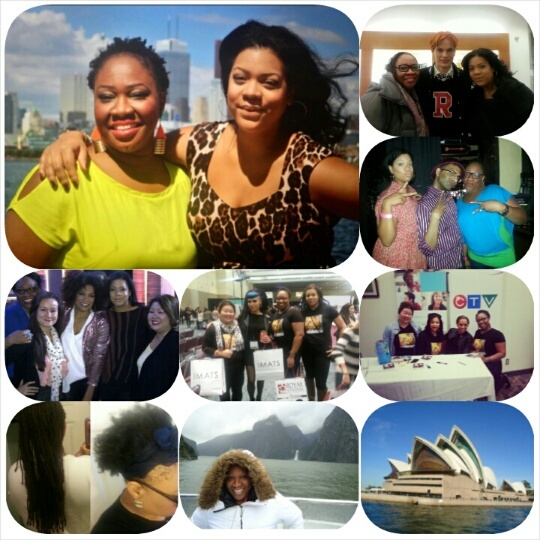 5 favourite Posts from each of us for 2013! Chris will take it away! You guys – we did it! We made it through our first year and we have so much more in store! It was hard to choose just 5 faves, but you can always read the others through our Homepage :-). 5. Visiting South Island, New Zealand – I still can’t believe that I flew down under. I got to experience the beauty of New Zealand AND Sydney, Australia! I have wanted to visit Australia for so long that my friend and I actually had a very emotional moment in front of Sydney Opera House. We had made it! After almost ten years talking about it, there we were. And to be able to share my experience through TNL made it so much more special. Make that bucket-list folks, things do happen. 4. BB Canada Live – as Big Brother superfans, it was beyond surreal to be at a taping (and even have my back and blazer end up on TV!) and a double eviction to boot! How cool was it to watch them on the big screen walk out of the house and onto the stage in front of us, you ask? Very! I can’t wait for the new season; I enjoyed it more than the original BB. That is my unbiased, Canadian opinion – of course. 3. Kangoo Jumps – we started this blog with the intention of trying different things around the city, so we can share it with our readers. Not only was this experience fun, but it solidified exactly what we set out to do. We didn’t want to be one-dimensional because there is always so much going on around Toronto – and we love our city. 2. Ice Cream in Nutribullet – this remains our most popular post to date! Everyone who has one loves their Nutribullet and the feedback has been amazing. So, so many responded with great suggestions on how they use theirs and valued Ash’s Nutribullet posts including the cool one about the milling blade so much that they started asking her more questions. I recently received a Nutribullet as a birthday gift, and I feel like I’m part of that elite club now. Thank you to Nutribullet for taking the time to read and even repost on their blog! And my ONE OF my favourite posts this year would have to be…..
1. Removing my locs without shaving them – this has to be listed as a favourite because of how personal it is. I had spent a long time trying to figure out what I’d do with my hair. After ten years of us bonding, there I was actually entertaining the thought of removing them. It would change my life, this I knew. Since I’d removed my locs, I have been spending so much time with my hair and I’m loving the whole rediscovery. The best part is that I do not regret my decision at all. And because of my decision, I have made quite the contribution to our Hair-apy section, and hope that it helps at least one other person who is trying to figure out what products to use. A special thanks to Ash for helping out on day 1 and my niece for getting me through the home stretch – it was a long 3 days. It was really hard to choose just five to feature, but like we mentioned in our intro we love our entire blog. We’re very proud of how far we’ve come, and how well we work together at making this as successful as it is becoming. From two girls having an idea and drawing a logo with highlighters to seeing it come into fruition (with a real logo) and so many people from all over the world enjoying it, is really more than enough for us. It is a lot of work to maintain a blog and keep readers interested, and we have a new respect for all the successful bloggers and vloggers out there who have been doing this for years. TNL gives us a reason to try new things, even going outside of our comfort zones at times, and we’ve made the best of each and every experience. DUDE – we met Scary Spice and hung out with some of the BB Can cast – yes it was a great year indeed. And I don’t know about you, but Ash definitely has me longing to go to Curacao and knocking another bucket-list item off my list – NOLA. We seek out new restaurants or just tell you about the ones we’ve always loved through our Resto Reviews section. We even had our very own photoshoot and met comic book cutie Archie! So fun! A very special thank you to our designer/photographer Karuna of Tigerfly Design & Photography. So Thank you. Thank you for your enthusiasm. Thank you for the support that comes in so many different forms. Thank you if you have like and shared on Facebook, retweeted on Twitter or reposted on Instagram. Thank you to the faithful and ever-so-supportive friends who never forget to comment, no matter what the post is. And even if you were too shy to comment (and we really LOVE it when you guys do), just clicking the link continues to make our day. 5. ALL of the travel posts. Ok, so I’m going to start this off with some good old-fashioned cheating. Is it cheating to choose a category as one of my favourites? Well, I’m doing it , so there. I absolutely love to travel. I adore new adventures near and far and have especially enjoyed having the opportunity to document and share the places I have been lucky enough to see, here on TNL. This year I was lucky enough to visit the beautiful , dushi (check out the post for translation) island of Curacao and unbelievable amazing city of New Orleans. I also realized that you don’t have to go too far from home to have a travel adventure, eating my way through Montreal and setting off on a blind road trip. Thanks to armchair travel, I also got to see New Zealand and Australia through Chris’ posts. Speaking of Chris’ posts, I loved reading about her experience removing her dreads. I not only got to read about it, but participate in the painstaking process of getting those dreads out. I was unaware that dreadlocks could even be removed, so I’m so glad that she shared her experience so others could learn too. We started this blog to share experiences, because we often find ourselves scouring the net. I just know that there are probably lots of people who will appreciate Chris sharing such a personal journey with them! It may sound supper cheesy but from the time that we started TNL, our mantra was: think it, do it , be it. When I completed the Polar Bear Dip for my first post, I talked about how amazing it feels to do something that you feel you can not do. Not too long ago, I completed a 10 Day Juice Cleanse. Now there’s something I never thought I could do. The awesome feeling that came with applying think it , do it, be it and completing the cleanse is still fresh in my mind, so it makes my top 5. As you may have noticed, we love makeup here at TNL. I love all of our makeup posts. I love them because we get to try stuff out , and playing with makeup is fun. So, it seemed like a good choice to include a post about visiting the makeup lover’s dream event, the International Makeup Artist Trade Show! I particularly loved IMATS this year as it was our first year attending as bloggers, and we got to spend the day knee-deep in makeup with some dear friends. It is on my bucket list to go to IMATS Los Angeles in the near future. Hopefully that experience will be a part of a future top 5! One of my very favourite posts is when we shared our TNL logo for the first time. I love, love, love our logo and it is all thanks to Karuna Duggar of Tigerfly Design and Photography. If you follow us on Instagram (@theneonleopardblog) then you may have seen the preliminary sketch of our logo vision. Let’s just say it needed work. Karuna’s design completely encompassed our vision and it really brought life to this project for us. It is so very cool to be able to have our branding on t-shirts. Thanks Karuna!! I want to stress the fact that I love the collection of posts that have become The Neon Leopard over the last year. It was so very difficult to choose a top 5, and I am fairly certain that if I were asked to do this again, my list would be different every time. The support of my incredible friends during our first year in the blogosphere has been so heart warming! I always knew that I had hit the jackpot in the friends department, but I am constantly reminded with every read, share, comment, like, t-shirt sold and more! Thank you so much. Most of all, I appreciate the opportunities that I get to make memories with my amazing friends that I can share here. Thank you x a billion! 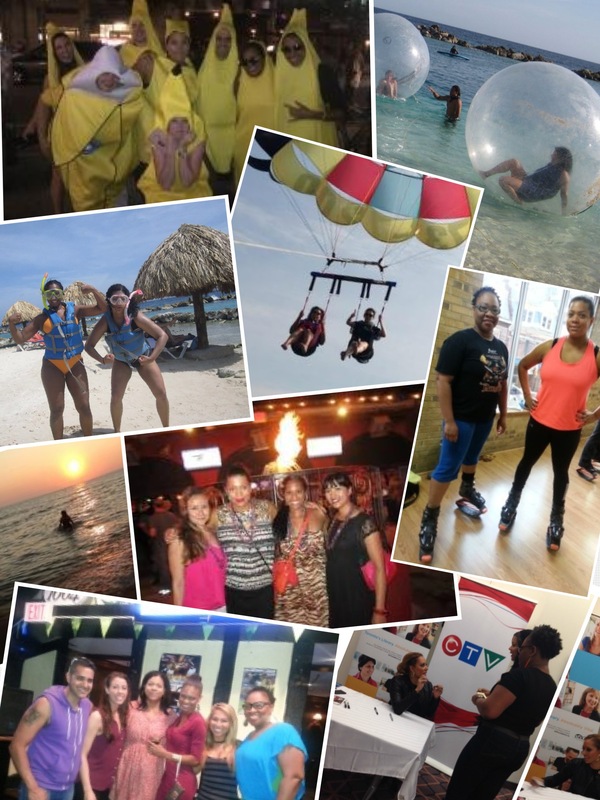 The fact that I had such trouble choosing just 5 posts speaks to what a great year its been…here’s to more adventures in 2014! That little walk “down memory lane” was fun, but we’d TOTALLY love to hear what your favourite TNL posts are. As always, we welcome you to leave your comments below and if you’d like, let us know what your favourite memory was from 2013! It’s our “A few of our Favourite Things” Giveaway! I can’t pick just one favourite – your posts have kept me company, given me ideas, made me feel like one of the gals, and just made me straight up happy…not to mention hungry! I love your blog. You both write with so much humour, do a lot of research, and provide great pics. I appreciate all the work that goes into it and will be a loyal fan forever. Keep up the wonder-full work ladies! We want to thank you SO much Seph for ALL your support! We love that you love what we love 😉 – THANK YOU times infinity! – C&A.